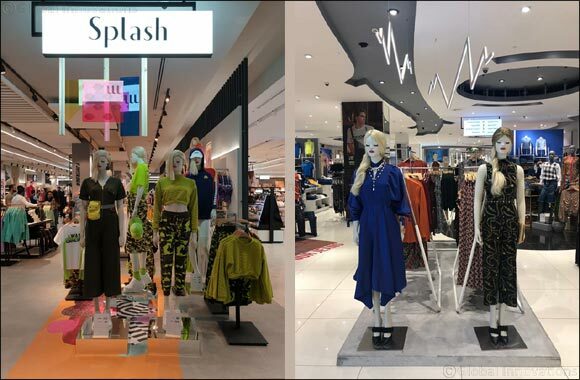 Dubai, UAE, March 18, 2019: Starting a new trend with first of many Regional Designer collaborations to come from Splash, the high-street Retailer will be launching limited edition lines throughout the year. With an aim to provide designer fashion at affordable price points, the first four designers under this collaboration our Essa Walla, Aiisha Ramadan, Ken Ferns and Nina Zandnia. All four Designers will be showcasing their lines at the Splash Spring Summer’19 fashion show on April 12 and the collection for Nina Zandnia & Essa Walla will be in-store for Ramadan to shop. Adding to this line-up will be Ken Ferns & Aiisha Ramadan whose collections will be launched for the second Eid, in August. For more detail stay tuned for the Splash Fashion Show on April 12th, 2019.